You could feel the afternoon heat of Puerto Escondido’s tropical sun blazing through the open-air patio that overlooks a precious slice of Oaxaca’s coastline. The fans provided little relief from the thick air, nor did the ocean breeze coming off of Puerto’s infamous Playa Zicatela. But the heat and subsequent lethargy were no match for 37 practicing midwives (parteras tradicionales), 6 medical students from Northwestern University Feinberg School of Medicine, CFHI participants and staff, and clinical and public health officials from the Oaxaca Ministry of Health who joined forces for the 7th Annual Traditional Midwife Training in Puerto Escondido, Oaxaca, Mexico. 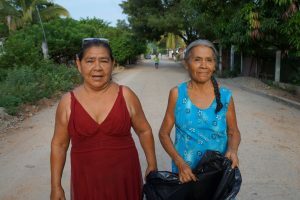 This CFHI community health project is a shining example of the value of reinvesting in host communities and the importance of collaboration, welcoming diversity in our interactions, and connection amongst people of different cultures; all of which represent values CFHI has long held in high regard. The curriculum for the training is prepared by the coastal region branch of the Oaxaca Ministry of Health and addresses safe birth techniques, detection of warning signs, knowing when to refer to a physician, appropriate care for a newborn, etc. 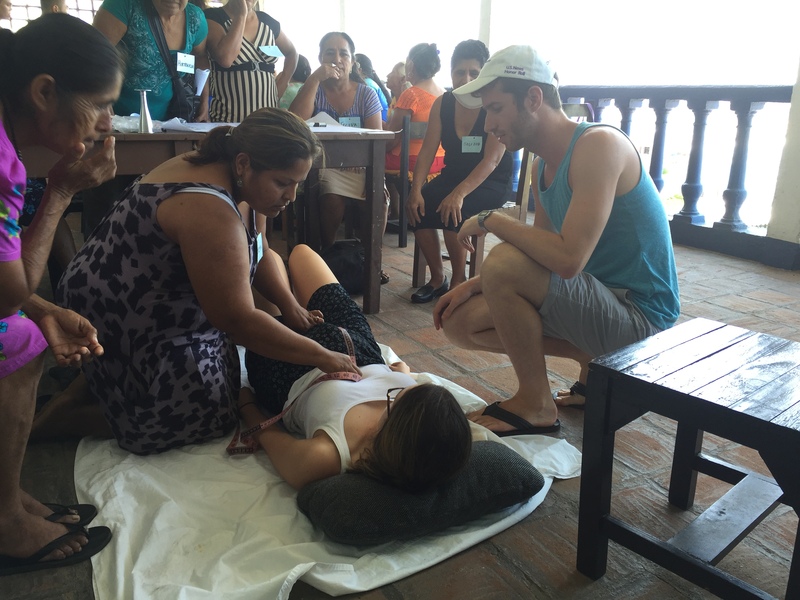 The training is then delivered by Northwestern University medical students entirely in Spanish. Even though the midwives are receiving the training they are also very enthusiastic about sharing their expertise and the traditions that have maintained their virtue across generations. It is an extraordinary opportunity for each midwife to take part in the 4-day training in Puerto Escondido, especially those traveling from remote villages of Oaxaca’s coastal region. This year 37 midwives attended, several of whom returned from previous years and quickly showed leadership within the group. The midwives are selected according to location, the goal being to invite those spanning a large geographic area, and the number of births they attend to, a statistic reported to the Ministry of Health by a practicing physician within each community. The midwives are often leaders within their communities and held in high esteem. They return to their villages and share knowledge and resources gained during the training. Two of the midwives braved the Oaxacan sun and traveled on foot for 4 hours to reach Puerto Escondido after catching a bus from their villages. You could see the determination on their faces to make the most of this professional development opportunity. It is programs such as this that CFHI takes pride in supporting year after year. One that impacts the community by giving them the tools to take ownership of their own future. This entry was posted in Uncategorized on July 15, 2016 by Keaton Andreas.